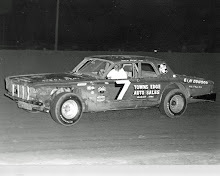 Daytona Beach, Fla. (February 10, 1975) - Lanky Ron Hutcherson of Keokuk, Iowa, drove a cool race from start to finish Sunday and won the Automobile Racing Club of America’s (ARCA) 200-mile winter spectacular. 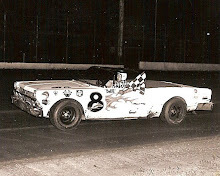 Hutcherson, a wallpaper salesman who hopes to move up from ARCA to the richer NASCAR racing fraternity, beat Terry Ryan of Davenport, Iowa, by seven seconds. Ryan barely nosed out Gene Taylor of Huntington, W. Va. It was Hutcherson’s third start in the event while Ryan and Taylor were rookies. 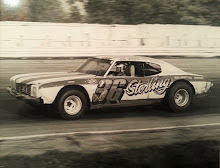 Hutcherson drove a Plymouth, Ryan a Chevrolet and Taylor a Dodge. It was the safest ARCA 200 in the 12 years it has been run on the high-banked Daytona International Speedway, The only caution flags came on 14 of the first 16 laps around the 2.5-mile track after two cars blew engines. The winner averaged 145.513 miles an hour and won $4,850. 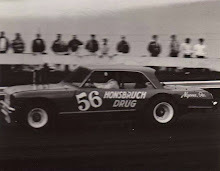 The 31-year-old Hutcherson led 67 of the 80 laps. He took first place from pole starter Ryan on the second lap and headed the pack until he pitted after 77 miles. He went back in front at the midway point and lost first place only briefly on his second pit stop. Taylor, who led with 30-miles to go, tried to stretch his fuel and get by with one pit stop. But he had to go in for fuel and settle for third place. 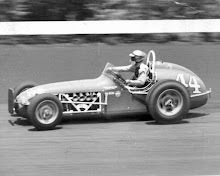 Lennie Pond of Petersburg, Va., was fourth in a Chevrolet; Herk Harbour of Proctorville, Ohio, fifth in a Dodge, and James Hylton of Inman, S.C., sixth in a Chevrolet.